Dear partners! Due to the Eid Al Fitr holiday (celebrating the end of the holy month of Ramadan) our office will be closed from 6th to 8th of July. The orders will be accepted and executed from the 9th of July. Convenient alternative brands price - list (DUBL). We have got the dublicate price-list file, with list of the different alternative brands which includes information on OEM numbers as well as models of the cars applicable. The file "EXCLUSIVE PLUS_DUBL_SUPPLIER_2016-23-01" is available on the website in File Archive. Cheapest and available price part request. Dear customers, please note that now when uploading a file with part numbers on the Price request page you can choose the option "Only minimal prices with availability" and you will get not only information about prices, weight and a volume weight, but also cheapest and available price of the requested part numbers. your business to be stable and prosperous. confidence for further cooperation and assistance! Sincerely yours, Republic Air Group. New Year Holiday working schedule: we are open on the 31st of December till 14:00. We are closed from the 1st of January to the 3rd of January 2016. All shipment requests during this period will not be entertained. The part's acceptance at our warehouse, orders acceptance and processing, new shipments scheduling for all countries will be done from the 4th of January 2016. We are off on the 2nd and the 3rd of December. To celebrate UAE National Day we are off on December the 2nd and the 3rd. During the holidays your orders will be accepted as usual, but processing the orders and accepting parts in our warehouse will start from the 4th of December. Dear Clients! We are glad to announce that now you can see the information on the physical shipment of your orders in detail, before you receive invoice from us by email. In particular, as soon as we form the packing list for your shipment, the "Packed" status of your items will show either the date of shipment, or appropriate information indicating the carrier, or the air waybill number. Thus, the control of movement of your goods became more transparent, and the status of the shipment more relevant and timely. To celebrate Eid Al-Adha, which commences this year on the 23rd of September, we will be off from the 23rd of September until 25th of September. We will be back to work on the 26th of September. During the holidays your orders will be accepted as usual, but processing the orders and accepting parts in our warehouse will start from the 26th of September. We congratulate all Muslims on occasion of this holiday. Dear partners! Due to the Eid Al Fitr holiday (celebrating the end of the holy month of Ramadan) our office will be closed from 18th to 19th of July. The orders will be accepted and executed from the 20th of July. Ramadan Timings from 18th of June to 17th of July. The holy month of Ramadan commences in the UAE on the 18th of June. Therefore, most of our suppliers limit their working day until 14:00 pm. All orders received after 14:00 will be processed by the suppliers on the following day. Please note this information when planning your orders. We send our congratulations to all Muslims on the holy month of Ramadan! May the year 2015 be better than the previous ones. We always wish you: peace, success, and, as usual, stability and growth in business. We hope that the next year will bring us more opportunities to work together! Wishing you a Happy New Year! New Year Holidays working schedule: we are closed from the 31st of December 2014 to the 4th of January 2015. All shipment requests during this period will not be entertained. Last shipment requests for the European countries shall be done before the 30th of December (the last request for sending on the 29th of December). All your orders will be accepted and sent to the suppliers as they accumulate. The part's delivery to our warehouse and new shipment planning and scheduling for all countries will be done from the 5th of January 2015. Dear customers! We are pleased to announce an additional option to download special price lists, called "stock" or "consolidated". They include the consolidated price list, as well as a separate price-list for each brand with the most relevant information of availability in the suppliers' warehouses and at the lowest possible price, with an indication of the available quantity and weight. The more expensive and not available items are excluded from the price lists. These price-lists are suitable to load to online portals and internal databases. Updates on these price-lists will be done on a weekly basis. Available for download in the section "Customer zone" - "Miscellaneous" - "File archive (consolidated price-lists)"
To celebrate UAE National Day we are off on December the 2nd. During the off day orders will be accepted as usual and will be sent to the suppliers, but order processing and parts delivery will start from the 3rd of December. Eid Al Adha working schedule from 3rd to 5th of October. To celebrate Eid Al-Adha, which commences this year on the 3rd of October, we will be off from the 3rd of October until 5th of October. We will be back to work on the 6th of October. During the holidays your orders will be accepted as usual, but processing the orders and accepting parts in our warehouse will start from the 6th of October. We congratulate all Muslims on occasion of this holiday. We are glad to inform you that now you can order spare parts under the GREAT WALL (GW) brand name. Great Wall Motors Company Limited is a Chinese automobile manufacturer formed in 1984. The updated price lists are available on our web site in the Price-online and File Archive sections. Dear partners! Due to the Eid Al Fitr holiday (celebrating the end of the holy month of Ramadan) our office will be closed from 28th to 29th of July. The orders will be accepted and executed from the 30th of July. We are glad to inform you that now you can order spare parts under the Volvo Trucks (VOTR) brand name. Volvo Trucks are sold and serviced in more than 130 countries around the world, through over 650 dealerships and 1,450 workshops. (Volvo Trucks). The holy month of Ramadan commences in the UAE on the 29th of June. Therefore, most of our suppliers limit their working day until 14:00 pm. All orders received after 14:00 will be processed by the suppliers on the following day. Please note this information when planning your orders. We send our congratulations to all Muslims on the holy month of Ramadan! We are off on the 25th of May 2014. Orders will be accepted, but they will be executed from the 26th of May 2014. We are glad to inform you that now you can order spare parts under the Yamaha (YAM) and Suzuki (SUZ) brand names. Both companies (Yamaha: http://global.yamaha-motor.com and Suzuki: http://www.globalsuzuki.com) are official OEM suppliers of the spare parts for motorcycles, ATVs, watercraft, marine and outboard engines. In order to avoid confusion we remind you that when ordering automotive spare parts for Suzuki you still need to specify manufacturer code as SZ (not SUZ). Меняются времена, нравы, поколения, государства и власти. Подвиг героев и память о нем навсегда останутся в наших сердцах. We are glad to inform that now you can order spare parts under the GLOBAL AUTO PARTS (GAP) brand name. GAP is the supplier of high quality aftermarket parts with a product range that covers many areas such as Braking, Steering, Suspension, Filtration, Transmission, Cooling, Heating, Electrical, Engine, Lubricants, Chemicals, Wiping and Lighting. The parts range has been designed to apply to vehicles from Toyota, Nissan, Honda, Mazda, Hyundai, Lexus, Kia, Isuzu and many others. The price list with substitutions and country of origin is already available on our website in the Price-online and File Archive sections. 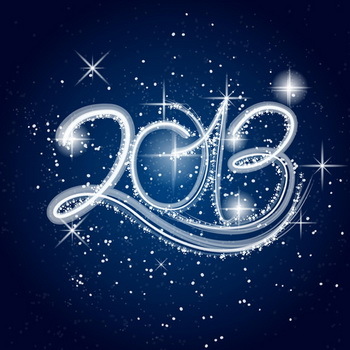 May the year 2014 bring for you success, good times, happiness! And for us - more opportunities to work together! Wishing you a Happy New Year! Web-service of Republic Air Group is integrated with the ZapTrade system. ZapTrade is a sofwtare company, which develops websites for trading auto spare parts using their own engine. Using ZapTrade's engine one can easily create a website for trading car spare parts just in a couple of days. The website created will contain all the functionality necessary for trading spare parts. New Year Holidays working schedule: we are closed from the 31st of December 2013 to the 4th of January 2014. All shipment requests during this period will not be entertained. Last shipment requests for the European countries shall be done before the 29th of December. All your orders will be checked and sent to the suppliers as they accumulate. The part's delivery to our warehouse and new shipment planning for all countries will be done from the 5th of January 2014. We have opened a new Customer zone -> Miscellaneous -> Webservices info section, containing detailed information on how to work with our web-services. Web-services allow exchanging information in automatic mode. For example, your information system can send a request to get information about a spare part by its number and within a second receive all that information, which you usually see in Price-Online (for further viewing or saving it in your information system). In the same way, your system may prepare an order and send it to us automatically without the need for a manager/operator to do this. It does not require significant technological difficulties or time to set up a web-service. If you want to work with our web-services, you need to contact your programmer or the IT-company you work with. To celebrate UAE National Day we are off on December the 1st. During the off day orders will be accepted as usual and will be sent to the suppliers, but order processing and parts delivery will start from the 2nd of December. Dear customers, we inform you that from today we will charge separately excess volumetric weight of bumper covers over their physical weight at the rate of $2.5 per 1 kg of excess. For example: bumper NS 620221BF1 is 5.1 kg of physical weight and it has volumetric weight of 115.74 kg. The difference of 110.64 kg will be charged at $2.5 per kg. Excess volumetric weight of the remaining parts will be charged according to the shipment cost table, as before. Please keep this in mind when calculating the final cost of the bumpers with their delivery cost to Ukraine. To celebrate Eid Al-Adha, which commences this year on the 15th of October, we will be off from the 15th of October until 17th of October. We will be back to work on the 19th of October. During the holidays your orders will be accepted as usual, but order processing and parts delivery will start from the 19th of October. We congratulate all Muslims on occasion of this holiday. We are glad to inform that now you can order spare parts under the KYB and 555 brand names. С сегодняшнего дня меняется стоимость доставки груза в Украину. Подробнее об изменениях вы можете прочитать в разделе Ваши проводки, баланс и условия доставки, нажав на кнопку "Посмотреть таблицу с условиями доставки". Пожалуйста, обратите внимание на стоимость перевозки объемного груза, которая теперь будет выставляться в зависимости от превышения над физическим. We are glad to inform that now you can order spare parts under the RBI brand name. "RBI" company (http://www.rbi.co.th) the official supplier of aftermarket suspension auto spare parts for all types of automobiles. The price list and availability are already available on our web site and the files archive. We remind you that you can limit a spare part price either in the Excel order form (by specifying a maximum allowed price in the "Price $" column), or when adding an item to your cart from Price-online (by checking a box and specifying a maximum allowed price in the "Max price, $" column), and we will order the spare part only to the dealers that can supply it satisfying the limited price. Also, you can choose a specific supplier (for example, if a certain dealer has the spare part available in stock, or has shorter supply time), and we will order the spare part only from the chosen supplier. However, it's important to understand that price or dealer restriction reduces the likelihood that a spare part will be supplied. Dear partners! Due to the Eid Al Fitr holiday (celebrating the end of the holy month of Ramadan) our office will be partially closed from 8th to 10th of August. Your orders will be accepted and emails checked as usual. Partial ordering will be done starting from Saturday 10th of August. Deliveries of spare parts will start from 11th of August. We are glad to inform that now you can order genuine spare parts under the (PG) PEUGEOT/CITROEN brand name. The updated price list is available on our web site in the Price-online and File Archive sections. The holy month of Ramadan commences in the UAE on the 10th of July. Therefore, most of our suppliers limit their working day until 14:00 pm. All orders received after 14:00 will be processed by the suppliers on the following day. Please note this information when planning your orders. We send our congratulations to all Muslims on the holy month of Ramadan! We are off on the 6th of June 2013. Orders will be accepted, but they will be executed from the 8th of June 2013. We are glad to inform that now you can order spare parts under the MOBIS brand name. "MOBIS" company (www.mobis.co.kr) the official supplier of genuine spare parts and accessories of KIA & HYUNDAI. (FEBE) FEBEST – now available for ordering. We are glad to inform that now you can order spare parts under the FEBEST brand name. "FEBEST" company (www.fe-best.de) determined its marketing line of development as the manufacture of spare parts for Japanese and Korean cars. The company logo is "German efficiency for Japanese cars". This means that every assembly of the car should have its own repair kit! Parts catalog is available here Febest catalogue. We are extending our offer! Dear site visitors! Our winter offer “Become a customer and get a discount” has attracted a lot of new customers, therefore we have decided to extend our offer until 15th of March! You can get more details in the previous news. Our offer is a great opportunity to start cooperation with profitable terms (discount on the offer can be up to 5% depending on the volume of purchases)! Winter Offer - Become a customer and get a discount! We are pleased to announce our new winter offer! If you become our customer during the period from 15th of January to 15th of February, then: first you will get one level up over the planned level (if you confirm your level by 50% payment of your turnover in advance) and secondly, 3 months after beginning of work you’ll get a discount one level better than one you would have, based on the volume of your real purchases. For example, if after 3 months your average monthly volume of purchases equals to 15000 USD (which corresponds to the “WHOLESALE” level), you’ll get a discount corresponding to the volume of purchases of 20000 - 35000 USD a month (the “WHOLESALE PLUS” level)! In the Cooperation -> How to start section you will find information on how to register, become our customer and begin working with us. If you are a large trading company, car service, an online store, or a separate small wholesale buyer - become our customers right now! This is a profitable way to start the year with the good prices with us - with the company that has the best prices on car spare parts, the best packaging, the fastest delivery time around the world, the most user-friendly navigation and information on the orders on our web site, the most readable and convenient invoices. This is a rare offer - do not lose your chance! If you have any questions use the Contact us page, and we will surely reply you. We are glad to inform you that we decreased the delivery price to Ukraine! You can check the terms of delivery in the Transaction, balance and shipment terms -> Show table with shipment terms. New Year Holidays' working schedule: we are closed on the 1st and 2nd of January 2013. Orders will be accepted during these days, but they will be executed from the 3rd of January 2013. 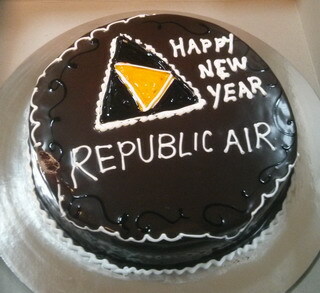 With best regards, the team of Republic Air Group. In the nearest future (approximately in a week) we will introduce a new system of restricting price and dealer when ordering. As you know, now the dealer’s restriction actually works as a price limit – we can supply a spare part from another dealer if the price does not exceed the price of the dealer that you have chosen. We have decided to divide the concepts of limiting price and restricting a dealer. Now you will be able to limit a spare part price in the Excel order form, or when adding an item to your cart from Price-online, and we will order the spare part only to the dealers that can supply it satisfying the limited price. Also, you will be able to restrict a dealer (for example, if a certain dealer has the spare part available in stock, or has shorter supply time), and we will order the spare part only from the chosen supplier. Working schedule during UAE independence day of the 2nd of December. To celebrate the Independence Day of the UAE, our company will operate in standby mode on the December the 2nd. Orders will be accepted and processed, receipt of parts at the warehouse will begin from December the 3rd. All scheduled shipments on December the 2nd will be done on December the 3rd. To celebrate Eid Al-Adha, which commences this year on the 26th of October, we will be off from the 25th of October until 27th of October. We will be back to work on the 28th of October. During the holidays your orders will be accepted as usual, but processing the orders and accepting parts in our warehouse will start from the 28th of October. We congratulate all Muslims on occasion of this holiday. Now, when adding an order from Excel or cart (before confirming the order) you can specify an optional order description (for example, “Stock order”). If you specify a description for the order being added, it will be shown when viewing the list of orders on the ‘Customer zone’ -> ‘Your orders’ -> ‘Order list’ page. We are informing you that now, if necessary, you can change your password on the ‘Customer zone’ -> ‘Miscellaneous’ -> ‘Your contact information and password change’ page. In the immediate future we are going to start generating price-lists in the Office Open XML format (that is used by default in Excel 2007 and Excel 2010; files extension - .xlsx). The main advantage is that the new format allows saving whole price-list on a single worksheet (in versions before Excel 2007 large price-lists had to be divided into several worksheets). In this regard, please update your software as required. The old email addresses still work, however we ask you to send future messages to the new email addresses provided above. Dear partners! Due to the Eid Al Fitr holiday (celebrating the end of the holy month of Ramadan) our office will be closed from Saturday, 18th of August, to Monday, 20th of August. Your orders will be accepted as usual. Physical deliveries of spare parts will start from Tuesday, 21st of August. The holy month of Ramadan commences in the UAE on the 20th of July. Therefore, most of our suppliers limit their working day until 14:00 pm. All orders received after 14:00 will be processed by the suppliers on the following day. Please note this information when planning orders. We send our congratulations to all Muslims on the holy month of Ramadan! We want to inform you that we have moved "Inform about payment" menu to the "Your messages and invoices" section. It is always advisable to use the form on the "Inform about payment" page to inform us on payments you make, so that we can verify and deposit your money to your account faster. We are informing you that now when making payment to our bank account in the UAE it is required to provide our IBAN (International Bank Account Number) - AE650400000038463339002. If an IBAN is not provided the processing of your payment will be rejected by our bank. Our company's bank account details (including an IBAN - AE650400000038463339002) can be downloaded here: RAKBANK_RA.xls. This Sunday (March 18th) our site http://ra.ae will be transferred to a new, more powerful and reliable dedicated server. Therefore http://ra.ae may not be available during the day, in which case you can work on our web site mirror http://uaezapchasti.com. However, the shopping carts created on http://ra.ae will not be available on http://uaezapchasti.com, and if you were planning to order from the shopping cart on http://ra.ae this Sunday, then maybe it makes sense to do this in advance - today. We are glad to inform you, that we've opened a new account and your charges for making a bank transfer will decrease! Thus, payments to our USD account now have to be made using the new requisites. Don't forget that when making a transfer it is necessary to specify IBAN. In the notifications about payment please specify that the transfer is made to our account in the RAKBANK. From now on, as soon as the updated stock information is available from one of the dealers, files with this information will immediately appear in our File archive section. If your company uses any system for accounting or work flow automation, you can then easily import the availability information into your system. With this improvement, you no longer have to use the Price-online every time you need to check availability. We are happy to improve our services for you! The option 'Order only from dealers with the lowest prices' on the Add order page is now available if you have the level 5 ACTIVE PLUS or higher (it was previously available only when the level was 3 WHOLESALE PLUS or higher). We remind, that if you choose this option we will order auto parts only from the dealers that offer the lowest price. I.e., for example, if one dealer offers some part for 30 USD and another one – for 35 USD, we will make an order only to the first dealer. If it occurs that the part is not available at the first dealer, we will not make a reorder to the second dealer, therefore choosing this option may lower the likelihood of the parts being supplied. Dear customers, please note that now when uploading a file with part numbers on the Price request page you will get not only information about prices, weight and substitutions, but also a volume weight of the requested numbers (if it is known). Dear customers! The 4th of February is a day off in the UAE due to the celebration of the Mawlid holiday (Prophet Mohammed’s Birthday). Work will continue on normal schedule starting Sunday the 5th of February. Now it is possible to work with several carts in the Your carts section. For example, you can create a separate cart for the parts that you want to be shipped by container; save part numbers to replenish your warehouse in another cart; prepare an order for your customer in the third cart, etc. When you are ready to make an order from cart contents, just open the cart and press the 'Create order' button, whereupon a new order will be created from the chosen cart contents. In every way that you do! Wishing you every joy and a happy New Year! With best regards from the team of Republic Air Group. New Year Holidays working schedule: we are closed from the 31st of December 2011 to the 4th of January 2012. Orders will be accepted during these days, but they will be executed starting from the 5th of January 2012. UAE independance day from 1st to 3rd of December working schedule. To celebrate the Independence Day of the UAE, our company will operate in standby mode from 1st to 3rd of December. Orders will be accepted and processed, receipt of parts at the warehouse will begin from December 4th. We are informing you that now when making payment to our bank account in the UAE it is required to provide our IBAN (International Bank Account Number). If an IBAN is not provided the processing of your payment is likely to be rejected or may be delayed with additional processing charges. Our company's bank account details (including an IBAN) can be downloaded here: RAKBANK_RA.xls. Eid Al Adha from the 5th to the 7th of Nivember working schedule. To celebrate Eid Al-Adha, which commences this year on the 6th of November, we are off from the 5th of November till the 7th of November. We will be back to work from the 8th of November. During the holidays your orders will be accepted. We will start processing your orders and accepting parts in our warehouse from the 8th of November. We congratulate all Muslims on occasion of this holiday. Dear customers and site guests! We have added a new section with Photos, where you can see the process of our company's work. Also, you can view how the movement of the spare parts is controlled on different stages, sorting and packing of spare parts, and the shipment of goods to the destination country. Now you can get the date of the last information update about availability of a spare part in a dealer's warehouse. On the Price-online page simply move your mouse cursor to the quantity of available spare parts and the tooltip will show the latest update from the dealer. We would like to inform you that the second supplier for Subaru parts plans a minor (7-10%) increase in the price of the spare parts. The increase will take effect from the September 30, 2011. If you are planning to make any Subaru stock replenishment, then perhaps it makes sense to make an order as soon as possible to catch up to rising prices. Dear partners! Due to the Eid Al Fitr holiday (celebrating the end of the holy month of Ramadan) our office will be closed from Tuesday, 30th of August, to Friday, 2nd of September. Your orders will be accepted as usual. Physical deliveries of spare parts will start from Saturday, 3rd of September. The holy month of Ramadan commences in the UAE on the 1st of August. Therefore, most of our suppliers limit their working day until 14:00 pm. All orders received after 14:00 will be processed by the suppliers on the following day. Please note this information when planning orders. We send our congratulations to all Muslims on the holy month of Ramadan! Become a customer and get a discount! Extending the promotion! We are pleased to tell you that we are extending the promotion! If you become our customer during the period from 15th of June to 15th of August, then in 3 months after beginning of work you’ll get a discount that is 1 level better than the one you would have based on the volume of purchases. For example, if after 3 months your average monthly volume of purchases equals to 6000 usd (which corresponds to the “ACTIVE” level), you’ll get a discount corresponding to the volume of purchases of 10000 - 15000 usd a month (the “ACTIVE PLUS” level)! Dear customers! The 30th of June is a day off in the UAE due to the celebration of the AL ISRA'A WAL MIRAJ. Work will continue on normal basis starting from Saturday the 2nd of July. Please note the time in which we send most orders to our dealers: from 9:00 to 10:00 in the morning, from 12:00 to 13:00 in the afternoon, and from 16:00 to 17:00. If you want the work on your order to be started as early as possible, please try to send your orders in the time specified above. Otherwise, your order may only be sent to our dealers in a few hours or the next day (for example, if you send an order at 18:00 in the evening, it may be the next day before the dealer accepts the order, therefore we highly recommend you to send evening orders before 17:00). We also remind you that we have a standard UAE time - UTC+4 without using a daylight saving time. Now for improving our and your service, we will regularly upload availability of the spare parts in the warehouses of the dealers, who provide us with such data. Information about availability on dealer’s stock can already be found in the Price-online! As you understand, the actual presence can change quite frequently (and the dealers, unfortunately, send updated presence only once every few days). Therefore, until the status of the order line becomes "In our warehouse”, you should not promise to your customer that the spare part is guaranteed to be delivered. Summer Promotion - Become a customer and get a discount! We are pleased to announce you the new promotion! If you become our customer during the period from 15th of June to 15th of July, then in 3 months after beginning of work you’ll get a discount that is 1 level better than the one you would have based on the volume of purchases. For example, if after 3 months your average monthly volume of purchases equals to 6000 usd (which corresponds to the “ACTIVE” level), you’ll get a discount corresponding to the volume of purchases of 10000 - 15000 usd a month (the “ACTIVE PLUS” level)! Now right from our website you can send a request to cancel the supply of a part! To send a cancellation request for a part from a pending order check the corresponding "Close" field. To request a cancellation of the whole order – put a checkmark in the "Close" column header. The request can be cancelled by removing the mark. To send a cancellation request for a part from an accepted order – click the "Show" link in the "Add-nal info" column. In the popup window check the "Request closure" field. After that your request will be sent to a dealer in the shortest time. All these actions are done on the order view page. It is important to understand that the request does not give you a 100% guarantee that delivery will be cancelled, because some dealers do not accept cancellation requests or accept them only in rare cases, or with a penalty. Also, cancellation requests for air orders are not accepted. We have added the price lists for Mercedes-Benz auto spare parts. The updated price list is available on our web site in the Price-online section and in the File archive section. We would like to inform you that the second supplier for Subaru parts plans a minor (6-7%) increase in the price of the spare parts. The increase will take effect from the March 31, 2011. If you are planning to make any Subaru stock replenishment, then perhaps it makes sense to make an order as soon as possible to catch up to rising prices. We have added the new Statistics section on the Customer zone page, where you can view statistics of our company's orders. After choosing a manufacturer, you will be shown the 100 most frequently ordered parts of the chosen manufacturer for the past 6 months. The average of orders and the quantity of parts ordered per month will be listed next to each part number. You can use this information when placing orders for restocking your warehouse. Now, if a part number means a particular color, but you need a part of any color, you can specify ANY COLOR parameter. For this, simply write ANY COLOR in the «Constraints» field of the Excel order form or when adding a part into the cart. The new option «Order only to dealers with lowest prices» is now available when placing an order. If you choose this option we will order auto parts only to the dealers that offer the lowest price. I.e., for example, if one dealer offers some part for 30 USD and another one – for 35 USD, we will make an order only to the first dealer. If it occurs that the part is not available at the first dealer, we will not make a reorder to the second dealer. Dear customers! The 17th of February is a day off in the UAE due to the celebration of the Mawlid holiday (the birthday of the Islamic prophet Muhammad). Work will continue on normal hours starting Saturday the 19th of February. We are glad to announce that we’ve started to supply auto parts from the USA! You can see prices in the Price-online section and in File archive (dealer code – USA). Because weights are unknown for some spare parts, and it is not always possible to calculate delivery cost, prices in the price-lists are specified without delivery and customs clearance costs. Shipment price is 4.75 USD for 1 kg (if the volumetric weight surpasses the physical weight, the excess will cost 3.5 USD per 1 kg). Customs clearance cost – 5% of the spare parts price (including delivery cost). Time of delivery to the UAE – 10-14 days after ordering to the dealer. After coming to our warehouse in the UAE spare parts will be processed and delivered to you as usual. Detailed information on ordering auto parts from the USA can be found in the FAQ. We have added the price lists for HINO auto parts and DEPO lights. The updated price lists are available on our web site in the Price-online section and in the File archive section. that will last through the year. New Year Holidays working schedule: we are closed from the 31st of December 2010 to the 3rd of January 2011. Orders will be accepted during these days, but they will be executed starting from the 4th of January 2011. UAE independance day from 2nd to 4th of December working schedule. To celebrate the Independence Day of the UAE, our company will operate in standby mode from 2nd to 4th December. Orders will be accepted and processed, receipt of parts at the warehouse will begin from December 5th. Eid Al Adha from 15th to the 17th of Nivember working schedule. To celebrate Eid Al-Adha, which commences this year on the 15th of November, we are off from 15th of November till 17th of November. We are working normally from the 18th of November. During the holidays Your orders will be accepted and processed, however spare parts will start being delivered from the 20th of November. We congratulate all Muslims on this holiday. We would like to remind you that in case our web site http://ra.ae is not accessible due to reasons beyond our control, you can still add your orders on the web site http://uaezapchasti.com, which is the mirror of http://ra.ae. Our main web site is still http://ra.ae, and some information on the web site http://uaezapchasti.com may be updated with delay. You may add orders only on one of the web sites, and as soon as the order is accepted it will appear on the both web sites. We have specially created the mirror site in order to increase the reliability of our business relationship with you. If any of the web sites is not accessible, due to reasons not controlled by us, you still can continue working on the other web site! On the Contact us page we have added the form to send comments and suggestions. With that form you can send us your feedback and comments on our work, and we will surely take them into account! Dear partners! Our office will be closed on 10th and 11th of September due to the holidays in the UAE. Physical deliveries of spare parts will start from the 12th - 13th of September. We have updated our order form today. The change is simple: the "Fragile" column is added. The «Fragile» field remains blank in most cases. Specify the letter F if the part is fragile and needs additional packing. You can download the new order form and read detailed information on order form format in the Cooperation -> Order section. In view of the fact that some customers mistakenly specify order line constraints instead of remarks, please be reminded that constraints ONLY THIS NUMBER and ONLY THIS QUANTITY should be specified in the "Constraints" column. Remarks may contain information that is important for you and also may contain the code of your customer, if you want parts for your different customers to be packed in different boxes. Additionally, remarks are printed as a bar code on part stickers. You can read more information about order line constraints and remarks in the Frequently Asked Questions. From today we have new terms of shipments. You can read more detailed information in the Your transactions, balance and shipment terms section by clicking the "Show table with shipment terms" button. Please note the time in which we send most orders to our dealers: from 9:00 to 10:00 in the morning, from 12:00 to 13:00 in the afternoon, and from 16:00 to 17:00. If you want the work on your order to be started as early as possible, please try to send your orders in the time specified above. Otherwise, your order may only be sent to our dealers in a few hours or the next day (for example, if you send an order at 18:00 in the evening, it may be the next day before the dealer accepts the order). We are informing you, that starting from the 1st of June we are decreasing discounts on the STARTING and STARTING PLUS price levels (by 10% and 3% respectively). Existing customers will get their prices changed only after the next price level recalculation (for example, if your price level is STARTING PLUS, and you have left 45 days until the next price level recalculation, the changes will affect you only in July). Discounts on the other price levels (starting from RETAIL and to EXCLUSIVE PLUS) will remain unchanged. Today we've made a small change in the order form - the "Substitution" column is now hidden and ignored (for compatibility reasons we haven't removed the column, just hidden it). On this day we would like to extend our warmest Victory Day greetings to you! The file archive and price lists for Mazda auto parts (from the 1st supplier) and Suzuki auto parts (from the second supplier) have been updated. The updated price lists are available on our web site in the Price-online menu and in the Files Archive Menu. We are glad to announce a new type of order - "1 month back order". This type of order is represented by the letter M. If the ordered position is of the order type M, and at the time of ordering it is out of stock, we will not close this position and will reorder it again and again from different suppliers until it is delivered, or the month passes. Thus the new order type will set you free from manual reordering of positions, that are very much needed, but that are temporary out of stock! The price lists for Subaru auto parts from the both suppliers have been updated. The updated price lists are available on our web site in Price-online menu and in Files Archive Menu. Dear clients! We have to inform you, that payments through banks of group “ VTB Bank ” will not be accepted by us. The bank has proved from the negative side, and, according to our bank (HSBC BANK), is in the black list with the emirates' banks. Please consider this information, when working with us. The price list for Toyota auto parts from the first supplier has been updated. The updated price list is available on our web site in Price-online menu and in Files Archive Menu. We have added the new section to the Customer zone page - Your contact information. In this section Your contact information is presented in the way it is stored in our database. Should you find any incorrect or expired information, or if you simply want to change it (ex.g. you can include additional email addresses into mailing lists) please notify us. We are glad to announce the new section - File archive (prices, catalogs, etc.). At the moment this file archive contains all the latest price-lists in Microsoft Excel format, which will be updated regularly. Please note, that prices in the price-lists are specified for the Exclusive Plus level, therefore, if Your level differs from the Exclusive Plus, You will need to add the corresponding percent difference. We remind, that You can view the discount table in the Your transactions, balance and shipment terms section. We are informing You about reducing the shipment and customs clearance charge to Russia by 1 dollar. We are glad to do any improvements in order to make our mutual cooperation more productive and successful! The price-lists for Honda and Suzuki genuine auto parts from the first supplier have been updated. The updated price lists are available on our web site in Price-online menu. May the year 2010 bring for You success, good times, happiness! And for us - more opportunities to work together! Wishing You a Happy New Year! The prices for Mazda auto parts from the both suppliers and for Suzuki auto parts from the second supplier have been updated. 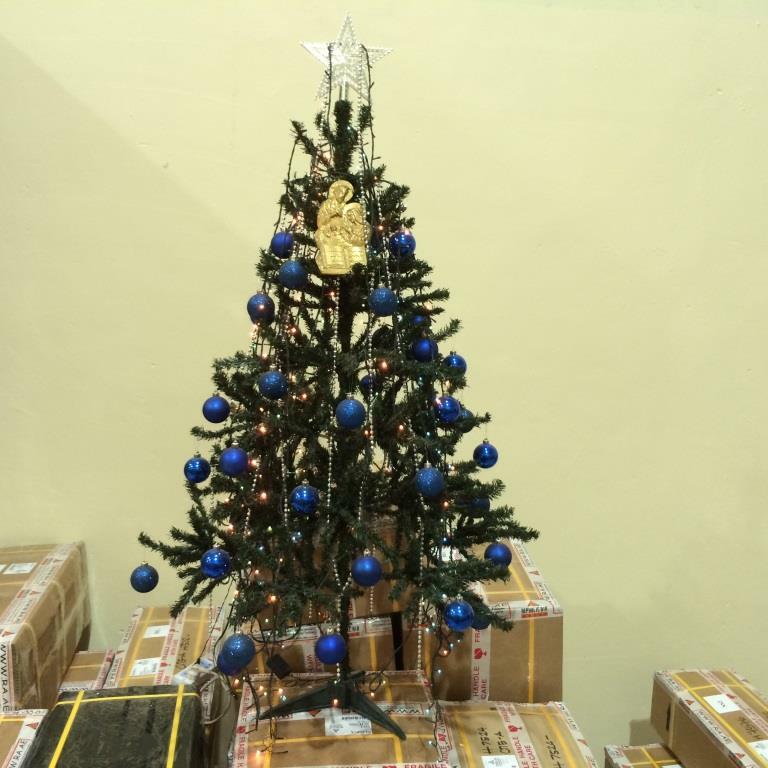 During New Year's holidays from December 28th 2009 till January 3rd 2010 our company works in a duty mode: orders are accepted, processed and delivered to our warehouse as they are accumulated. We start working in a normal mode from January 4th 2010. Eid Al Adha working schedule. To celebrate Eid Al-Adha, which commences this year on the 26th of November, we are off from 26th of November till 28th of November. We are working normally from the 29th of November. During the holidays Your orders will be accepted and processed, however spare parts will start being delivered from the 29th of November. The price lists from the both KIA spare parts suppliers has been updated. The prices for Mitsubishi spare parts from the second supplier have been updated. The updated price list is available on our web site in Price-online menu. Please be advised that due to the same reasons as in case of the first supplier of MMC spare parts, the prices for Mitsubishi spare parts (from the 2nd dealer) are expected to raise for a few percents (7-10%). The increase will commence on the 12th of November 2009. If you have been planning to renew your warehouse supplies with Mitsubishi spare parts, it may make sense to place an order as soon as possible to catch up to rising prices. The prices for Mitsubishi spare parts from the first supplier have been updated. We are informing you about small changes in the way of searching spare parts in Price-online. Now, when searching multiple spare parts at once, the part numbers have to be separated by a whitespace. The Enter button now starts the search - this is done for your convenience - after typing a part number(s) you can simply press Enter, without the need to take the mouse and click the Search button. Also you can paste multiple numbers from the buffer (for example, by copying them from Excel). When pasting from the buffer, part numbers may be separated either by a whitespace or by a line feed - the system will understand in both cases. The price-list for Mazda spare parts (from the 2nd dealer) has been updated today. The updated price-list is available in the price-online section. Please be advised that due to the weakening of the US dollar against the Japanese yen (prices for the spare parts of Japanese brands are initially denominated in the yen), dollar prices for Mitsubishi spare parts (from the 1st dealer) are expected to raise for a few percents. If you have been planning to renew your warehouse supplies with Mitsubishi spare parts, it may make sense to place an order as soon as possible to catch up to rising prices. The price-lists for Jaguar, Ford, Land Rover, Nissan (from the 1st dealer) and Subaru (from the second dealer) have been updated. As usual, the updated price-lists are available in the Price-online section. We will soon limit a number of requests in the Price-online to 500 per day for each customer. Such limitation is caused by a high load on the server since we get tens of thousands requests every day. Dear partners! Our office will be closed on 20th and 21st of September due to the holidays in the UAE. Your orders are accepted and sent to suppliers as usual. Physical deliveries of spare parts will start from the 22nd of September. Starting from today Price-online section shows information on part weight including packaging and part volume weight (in case dimensions for the spare part exist in our database and have been checked by us). To view this spare part information click the “Show” link in the additional info column (“Add-nal info”) of the Price-online results grid. This information is given to the best of our knowledge and in most cases is accurate. We are not responsible if the provided information differs from the actual packing weigh or volume. We are glad to offer you two additional types of shipment to Russia. Minimal shipment weight - 50 kg. Shipment through Europe (14-17 days). Shipment price - 7 dollars for 1 kg of physical or volume weight. When ordering, this shipment type is specified with latin letter E.
Shipment by container (45 days) - 3,7 dollars for 1 kg of physical or volume weight. When ordering, this shipment type is specified with latin letter K.
There is a partial restriction for spark plugs and ignition coils for these shipment types. We are glad to inform you, that we have added price-list for genuine GENERAL MOTORS spare parts (manufacturer code - GM). The price lists for MITSUBISHI spare parts (manufacturer code - MMC) and MAZDA spare parts (manufacturer code - MZ) have been updated. The price lists for NISSAN spare parts (manufacturer code - NS) and HONDA spare parts (manufacturer code - HO) have been updated. We are glad to inform, that we have added price- list for genuine PEUGEOT spare parts (manufacturer code - PG). The price list from first KIA spare parts supplier has been updated. The price lists for KIA spare parts (manufacturer code - KI) and DAEWOO spare parts (manufacturer code - DW) have been updated. Dear customers! We are pleased to inform You, that now you can see the spare part country of origin information in the price-online section – just use the "Show" link in the "Add-nal info" column. From today in price-online section, and also in the prices request result in customer zone, You can see the weights, which are checked and certified by us. When labeling the spare parts, we always check weights for all spare parts with an accuracy of +-1 gram! Checked weights show the weight of the spare part in its original packaging from the manufacturer. In price-online section such weights are marked with an orange triangle, while in the prices request result in customer zone - with a green background. Thus, now You can completely rely on weights, checked and certified by us, when calculating shipment price! Anti-recessionary measures - we support our clients! World financial crisis has influensed all of us to some extent: the volume of orders has been reduced, the prices have increased, the financing has become more difficult, etc., etc. Some companies, in order to compensate the decrease in their profits, decided to increase their margins for goods and services offered by them. The others use the current situation for the justification of increase of the prices offered by them. We support our clients! We understand the complexities, concerning our partners during financial crisis, therefore have decided to help the companies working with us for a long time. For our dear clients, who have been cooperating with us for more than 1 year, we would like to inform on freezing Your discount levels even at falling volumes of purchase! I.e. even if Your company had complexities and volumes of orders have been reduced - we shall not reduce Your discounts and we extend Your current price levels. On the other side, in case of increase in volumes of purchases, Your discounts, as before, will increase! We are glad to help our clients and we wish us long and successful cooperation! The prices for Mazda spare parts have been updated. The price lists for spare parts MITSUBISHI and SUBARU have been updated. We are pleased to inform You that the prices from the first supplier for MITSUBISHI and SUBARU have been updated. The updated price lists are already available on our web site in Price-online menu. We are informing You that the prices for NISSAN spare parts have been updated. The updated price list is already available on our web site in Price-online menu. The price list for SUBARU spare parts (manufacturer code - SU) has been updated. The prices for Toyota spare parts have been updated. The price list with updated toyota parts wholesale prices is available on our web site in Price-online menu. The price list for Daihatsu spare parts (manufacturer code - DH) has been updated. Second supplier for Honda spare parts has been added. We would like to remind you, that the new order form has specially designed "Dealer" field, where you can restrict the desired supplier with the suitable price. We have changed the order form, having added «Constraints» and «Dealer» fields. ONLY THIS NUMBER constraint should be used only if you want us to supply only chosen number, i.e. substitutes are not acceptable. ONLY THIS QUANTITY constraint is used only if you want us to supply the exact quantity as you ordered, and the quantity less than specified is not acceptable. It is important to understand, that you shall use these contraints only if they are really necessary. The part can be ordered from the specific supplier (for exapmle if you see that another supplier has much higher price in Price-Online). For that in Price-online you can see the code of the dealer, which supplies the needed part at acceptable price. After that you can specify supplier code in the «Dealer» field, and the specified part will be ordered only from the chosen supplier, or will be ordered from another supplier, but only if the price of the part from another supplier is not higher than 5%. When adding position to the cart from Price-online you can restrict the supplier by marking the checkbox in «O.C.S.» (Only from chosen supplier) field. The new form and the order example form is available on Cooperation -> order, or directly by this link. The old order form is still workable, but you will not be able to choose the dealer anymore, and all the previous order parameters mentioned in the substitute field will not be entertained. The order constraints and dealer field can also be chosen when ordering from the Price-Online, when adding items to the cart. We announce a new "Frequently asked questions" section, which can be found on Customer zone page. We highly recommend you to read this section, it may help our cooperation become more effective! The price-list for Toyota spare parts has been updated. The price-list with updated toyota parts wholesale prices is already available in Price-online menu on our web site. The prices for Honda spare parts have been updated. We are informing You that the prices for NISSAN and MITSUBISHI spare parts have been updated. We would like to extend our warmest greetings to You and wish You a Happy New Year 2009! The price list for Toyota spare parts has been updated. You can see updated toyota parts wholesale prices in Price-online menu. During the New Year and Christmas holidays we are taking orders as usual. The orders will be processed and delivered as they are accumulating. The price list for SUZUKI spare parts (manufacturer code - SZ) has been updated. The price list for MITSUBISHI spare parts (manufacturer code - MMC) has been updated. We are glad to inform that from today we are reducing the shipment and customs clearance charge to MOSCOW by 30 cents. The price-list for MAZDA spare parts (supplier code - MZ) has been updated. We have added the second supplier for MAZDA spare parts. Please don't forget to use dealer restrictions if necessary, since prices may significantly vary. From today Price-online has the option to see supply’s statistics. Now, having pressed the “Show” link in the additional info column (“Add-nal info”), you can see how many times the required position has been ordered, as well as the total quantity of ordered and supplied pieces of the given spare part. We would like to warn you, that statistics is the reflection of previous supplies and serves the role of guidance and not assurance that the particular spare part would be supplied or not. For example, if the spare part has been previously supplied 100% of the times, this dose not reflect one hundred percent guarantee that the part will be supplied next time. Similarly, if the part has not been supplied, it might simply mean, that the part was not available at the time of order, and next time it might be supplied. Today our web site was not accessible during few hours, due to the technical problems of our hosting provider. We would like to remind you that in case our web site http://ra.ae is not accessible because of the reasons not controlled by us, you can still add your orders on the web site http://uaezapchasti.com, which is the mirror of http://ra.ae. Our main web site is still http://ra.ae, and some information on the web site http://uaezapchasti.com may be updated with delay. You may add orders only on one of the web sites, and as soon as the order is accepted it will appear on the both web sites. To celebrate Eid Al-Adha, which this year commences on 8th of December, we are off from 8th of December till 9th of December. We are working normally from the 10th December. During the holidays Your orders will be accepted and processed, however spare parts will start being delivered from the 10th of December. ISUZU spare parts price-list has been updated. The new prices, as usual, are available in Price-online. We are glad to inform You, that now in the menu Customer zone -> Your orders You can download the updated positions in MS Excel format. The list will include positions that have come to our warehouse, have been packed, or that already have been sent to you, as well as closed positions. Having this information, you will be able to see movement of your orders for the last 24 hours, or any other time-frame that you will choose. We are glad to do any improvements in order to make our mutual cooperation more productive and successful! Information on packed and ready for shipment parts. Starting from today in the menu Customer zone -> Your orders, You can see the status of the boxes packed and ready for shipment from our warehouse, as well as the weight and volume weight of every box. The information is grouped by shipment type. В последнем случае код клиента пустой, и позиция с таким примечанием будет упакована вместе с общей группой запчастей. Код Вашего клиента (или, по-другому, подклиента) будет указываться на стикере запчасти и коробки. Также просим обратить Ваше внимание на то, что длина кода Вашего клиента ограничена 5 символовами (это в свою очередь связано с ограниченным свободным местом на стикерах). Надеемся, что данное нововведение будет полезным для Вас! Уважаемые господа, в связи с религиозным праздником Eid Al Fitr наш график работы следующий: c 30 сентября по 1 октября - выходные дни, со 2 октября приступаем к работе в обычном режиме. В период праздников Ваши заказы будут приниматься, но обработка заказов начнется со 2 октября. Обновился прайс-лист на запчасти NISSAN (код производителя - NS) . Цены уже доступны в разделе Прайс-онлайн. Теперь у Вас есть возможность отправлять нам сообщения прямо с сайта из раздела Ваши сообщения и счета! Это позволит Вам экономить время и отправлять сообщения из любого места (например из интернет-кафе или с компьютера, где у Вас не настроен доступ к почте). При необходимости мы будем отвечать на Ваш email. Мы рады сообщить Вам о введении дополнительной скидки на запчасти для автомобилей Honda! Надеемся, что это положительно отразится на наших с Вами объемах! Новые цены, как всегда, доступны на нашем сайте в разделе Прайс-онлайн. Новые цены уже доступны в разделе Прайс-онлайн. Обновился прайс-лист на запчасти MITSUBISHI (код производителя - MMC). Рады сообщить Вам, что теперь на наших стикерах (наклеенных на запчастях) дополнительно будет печататься штрихкод примечания, которое Вы можете указать в каждой позиции заказа. Таким образом, в примечании Вы можете указать любую важную для Вас информацию (обычно идентификатор Вашего клиента или внутренний идентификатор заказанной позиции в Вашей базе данных), а впоследствии с помощью сканера штрихкодов прочитать примечание и мгновенно идентифицировать позицию (запчасть). Такая автоматизация позволит в несколько раз повысить производительность учета запчастей и работы у Вас на складе! Штрихкод примечания будет напечатан только в том случае, если он полностью состоит только из символов, которые могут быть закодированы. При этом буквы в нижнем регистре будут приводиться к верхнему регистру. Если длина примечания больше 12 символов, то для печати штрихкода будут использоваться первые 12 символов. Штрихкод будет находиться в самом низу стикера. Мы рекомендуем Вам использовать сканеры штрихкодов при работе с полученными от нас запчастями. Это намного повысит производительность работы и снизит процент ошибок! Значительно расширился и обновился прайс-лист на запчасти SUZUKI (код производителя - SZ). Новые цены как обычно уже доступны на сайте в разделе Прайс-онлайн. С сегодняшнего дня мы вводим систему автоматического учета Ваших скидок. Теперь, в зависимости от Вашего среднемесячного объема закупок, Вам будет присваиваться определенный уровень цен и соответствующая ему скидка. Автоматическое определение Вашего уровня цен и скидки будет производиться каждые 90 дней. Среднемесячный объем считается по выставленным за последние 90 дней счетам и не включает в себя сумму упаковки и доставки груза. Ваш текущий, а так же планируемый уровень цен (основанный на Ваших текущих среднемесячных объемах) и таблицу скидок Вы можете посмотреть в разделе Для клиентов -> Ваши проводки и баланс. При отправке электронной почты на наши адреса, мы просим Вас начинать тему письма с указания Вашего кода клиента. Например, тема письма может быть “MRUF Вопрос по следующей отправке груза” или “MMCKI Изменение контактной информации”. Это позволит быстрее идентифицировать Вас, и еще скорее отреагировать на Ваше письмо. Обновился прайс-лист на запчасти HONDA (код производителя - HO) и HYUNDAI (HY) . Добавился поставщик на атозапчасти HINO (код производителя - HN). Новые цены доступны на сайте в разделе Прайс-онлайн. Обновился прайс-лист на запчасти MAZDA (код производителя - MZ). Рады сообщить Вам, что теперь, в случае, если наш сайт http://ra.ae по каким-либо причинам недоступен для Вас, Вы можете добавлять заказы на сайте http://uaezapchasti.com, который является зеркалом http://ra.ae. Основным сайтом по-прежнему остается http://ra.ae, соответственно некоторая информация на http://uaezapchasti.com может появляться с задержкой. Заказ нужно добавлять только на одном из наших сайтов, а когда он будет принят, информация сразу обновится на обоих сайтах. Введение дополнительного сайта сделано для повышения надежности нашей с Вами работы. Теперь, если какой-либо из сайтов перестает быть доступным, по причинам от нас с Вами независящим, Вы всегда можете продолжить работу на другом сайте! В настоящее время мы рассматриваем возможное введение варианта оплаты кредитными картами с помощью платежной системы PayPal (или аналогичной). При этом комиссия будет составлять 3.5 - 4%. Ответить Вы можете на главной странице нашего сайта (форма опроса находится под лентой новостей, ответы принимаются в свободной форме), либо прислав Ваше мнение на любой из наших почтовых ящиков. Обновился прайс-лист на запчасти NISSAN (код производителя - NS). Обновился прайс-лист на запчасти RENAULT (код производителя - RN). Обновились прайс-листы на запчасти RANGE/LAND ROVER (код производителя - RO) и FORD (код производителя - FO). Добавлен прайс-лист на автозапчасти JAGUAR (код производителя - JAG). Цены уже доступны на сайте в разделе Прайс-онлайн. Добавились новые бренды на Дубликаты. Новые цены уже доступны на сайте в разделе Прайс-онлайн. Обновился прайс-лист на автозапчасти TOYOTA (код производителя - TY). Обновился прайс-лист на автозапчасти HONDA (код производителя - HO). Понижены цены от первого поставщика на запчасти MITSUBISHI (код производителя - MMC). Все закупки, сделанные в этом году, уже сделаны по новым ценам. Уважаемые друзья! С новым 2008 годом! С сегодняшнего дня Вы можете заказать определенные бренды на запчасти альтернативных поставщиков (ДУБЛИКАТЫ) . Теперь вместо кода DUBL, вы можете указывать коды этих производителей, если вы хотите, чтобы вам был поставлен именно этот бренд. Значительно расширился и обновился прайс-лист на запчасти DAIHATSU (код производителя - DH). Праздники в ОАЭ 18-21 декабря. 18-21 декабря, в связи с религиозным праздником Ид аль-Адха, в ОАЭ объявлены выходными днями. Все заказы отправленные в этот период пойдут в работу с 21 декабря. Пополнился и обновился прайс-лист на запчасти NISSAN (код производителя - NS). Уважаемые клиенты! Рады сообщить об открытии подраздела “Ваша корзина”! Теперь, проверяя позиции в Прайс-онлайн, Вы можете сразу же добавлять их в корзину, а, например, в конце дня одним нажатием оформить заказ! Уважаемые клиенты! Просим Вас обратить внимание на то, что теперь Вы можете получать и просматривать свои счета в подразделе “Ваши сообщения”. Мы рады совершенствовать уровень нашего сервиса для удобства Вашей работы! Пополнился и обновился прайс-лист на запчасти MITSUBISHI (код производителя - MMC). Сообщаем Вам об открытии подраздела “Ваши сообщения” в разделе для клиентов. В данный подраздел будут попадать копии сообщений об отправке груза, выставлении счетов, принятии заказов, Вашей активности за неделю, Вашем балансе и т.д. Теперь Вы сможете читать Ваши письма прямо на сайте, видеть историю сообщений, а так же никогда не пропустите важное письмо, потому что технология отправки сообщений на сайт, в отличие от передачи писем по электронной почте, имеет почти 100%-ую надежность! Обновился прайс-лист на запчасти Mazda. Цены Вы можете посмотреть в разделе Прайс-онлайн. Значительно пополнился и обновился прайс-лист на запчасти KIA (код производителя - KI). Обновлен прайс-лист на запчасти HONDA. Цены Вы можете посмотреть в разделе Прайс-онлайн. В очередной раз рады сообщить Вам о введении дополнительной скидки в размере 2.5% на запчасти для автомобилей Subaru по второму дилеру! Как всегда, надеемся, что это положительно отразится на наших с Вами объемах! Обновлен прайс-лист на запчасти для а/м Hyundai. Новые цены, как всегда, уже доступны в разделе Прайс-онлайн. Рады сообщить Вам о введении дополнительной скидки в размере 1.5% на автозапчасти для автомобилей Hyundai! Обновлен прайс-лист на запчасти Mazda. Цены Вы можете посмотреть в разделе Прайс-онлайн. Добавлен прайс-лист на запчасти для автомобилей Renault. Цены, как всегда, уже доступны на сайте в разделе Прайс-онлайн. Рады сообщить Вам о введении дополнительной скидки в размере 1% на запчасти для автомобилей Honda! Сообщаем Вам, что мы полностью переходим на автоматическую систему принятия заказов. В связи с этим с 1 июля заказы необходимо будет добавлять только через сайт из раздела Для клиентов -> Ваши заказы -> Добавить заказ. Заказы посланные нам на email приниматься и обрабатываться не будут. Обновился прайс-лист на автозапчасти Toyota. Новые цены доступны в разделе Прайс-онлайн. Ответить Вы можете на любой странице нашего сайта (форма опроса находится под лентой новостей, можно вводить несколько вариантов через запятую), либо прислав Ваши варианты на любой из наших почтовых ящиков. Добрый день, уважаемые клиенты! Обновился прайс-лист на авто запчасти к а/м Subaru. Новые цены, как всегда, доступны в разделе Прайс-онлайн.